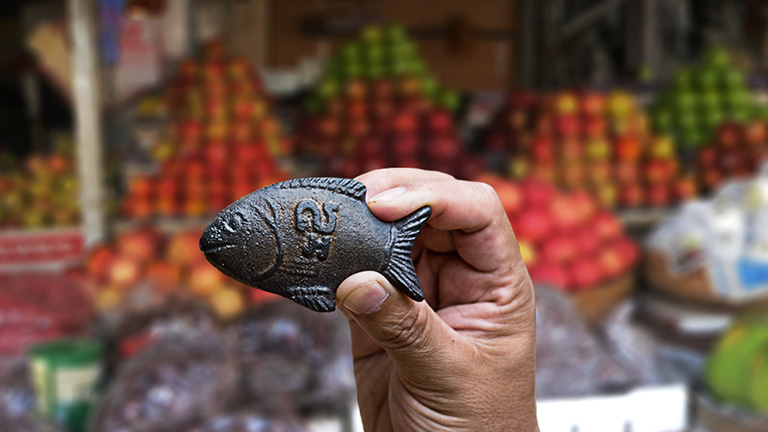 CANNES, France—The most low-tech product imaginable, a simple lump of iron, won the Grand Prix in the Product Design Lions contest here tonight. But while it looks unassuming, this fish made tens of thousands of Cambodians healthier. As the case study below shows, Geometry Global in Dubai, United Arab Emirates, approached the problem of iron deficiency in Cambodians by trying to find ways to add more iron into their diet. One way, they found, was to simply put a piece of iron into skillets and pans while cooking. But Cambodians were reluctant to do so … at first. • Grey Group Singapore for Talwar Bindi's "Life Saving Dot"
• Publicis Colombia Bogotá for Cirec Foundation's "Funtastic Hand"